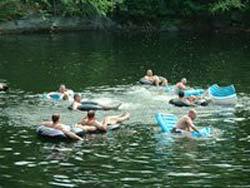 Millstone Hill offers primitive campsites with direct access to the MTA trail network. Located behind The Lodge, our campsites are natural and quiet, with some nestled in Millstone Hill’s unique rock piles, others situated to take advantage of our expansive mountain views. 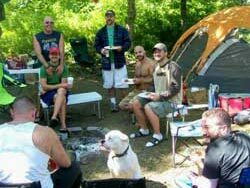 All campsites are furnished with a granite fire pit and picnic table. You can drive up to every campsite and park next to it. Temporary toilet facilities are available adjacent to the campsites with outdoor shower facilities a few hundred feet above the campsites at The Lodge. When private parties or weddings are being held at the Lodge, access to the Lodge facilities may be restricted. Please cooperate. For the most part, campsites are assigned on a first come first serve basis. 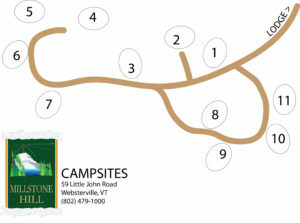 In addition to the campsites, Millstone Hill also offers a variety of unique lodging options.